Today is our second week of the Ten Take on Fall collaboration. If you missed the first week you can find the post here where we all took a summer piece and styled it for fall to help you maximize your wardrobe. This week we are all sharing our Fall Must-Haves! 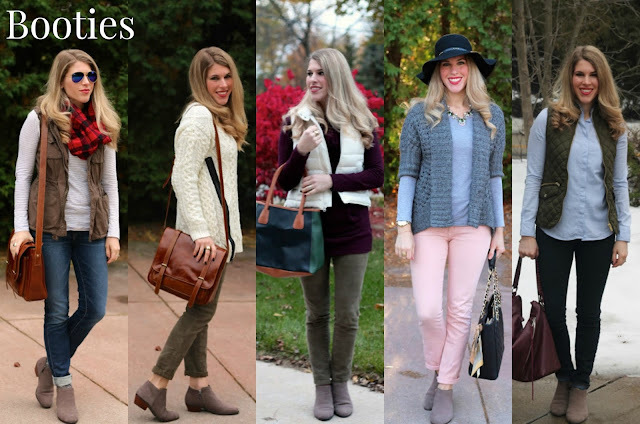 Don't forget to see what pieces are fall must-haves for all of these lovely ladies! Their links are below. My first must-have is a plaid button up. They are so versatile and warm! I have gone through a few in search of the perfect plaid and now have several I like in my closet. They can be dressed up or down and layered with ease! Old Navy has some great plaid flannel options if you are on a budget! This red check one is classic. Love this black and white one too! With the chill in the air it's nice to have an option other than a jacket. I've worn this vest countless times! It's definitely a must-have for fall! A plaid vest option from Old Navy. Taupe goes well with practically everything! Booties are such a great in between shoe. I got this pair last year and have worn them so much. Really liking these perforated suede ones! I splurge on boots and always get leather or suede, but I got the cognac ones 3 years ago and the brown suede ones 11 years ago and they both still look amazing! Well below $1 per wear by now. 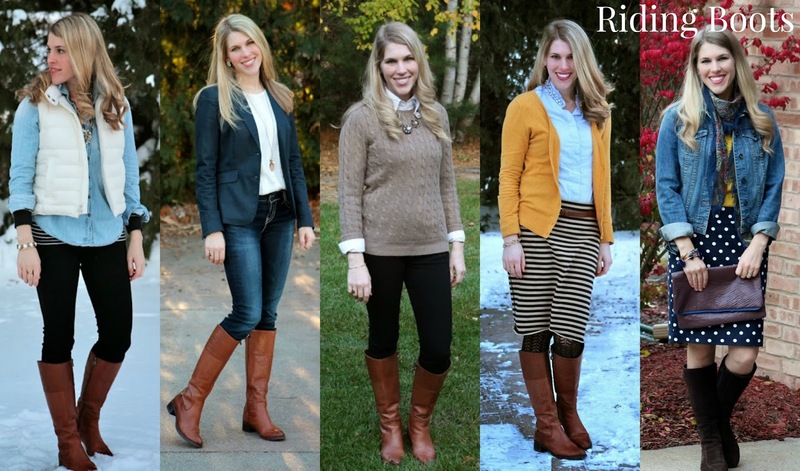 Riding boots are definitely a fall must-have! A neutral cardigan will take you through any season but for fall it layers well over summer dresses to help them transition or over a plaid for more warmth. With all the colors, it pairs well with many different outfits. I get cold easily so I love throwing this on to help me stay warm. I snagged this one for under $10. I think I want another plaid option now I wear this so much! Some of my most pinned outfits are with this scarf. If you don't quite want the blanket effect. This navy one is pretty, too! This is an item I just added to my fall closet last year. It's proved its worth though. A lightweight jacket is important to have. It works well as a functional accessory in a way! 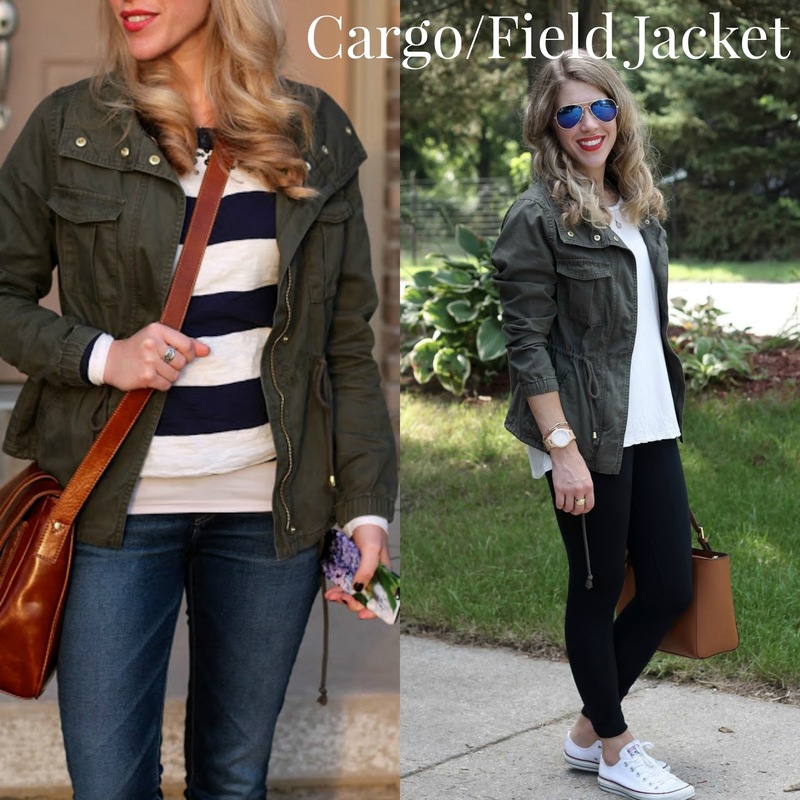 Although I love my cargo jacket, if I had to pick only one, it would be my moto jacket! I love the edge it adds to an outfit and how I can dress it up or down. You can't beat the warmth of leather! With all these great fall must-haves how could you not feel confident this fall?! All great pieces! I need to find a good neutral cardigan! And your riding boots are fabulous! Such great outfit inspiration for cooler weather! You layer so well it's hard to pick a favourite set. Love all of this inspiration! Plaid is my #1 fall favorite! Riding boots and booties are probably my top two for fall and winter. I wear them all the time! I love how our pieces are different but all so great. Love your staples. 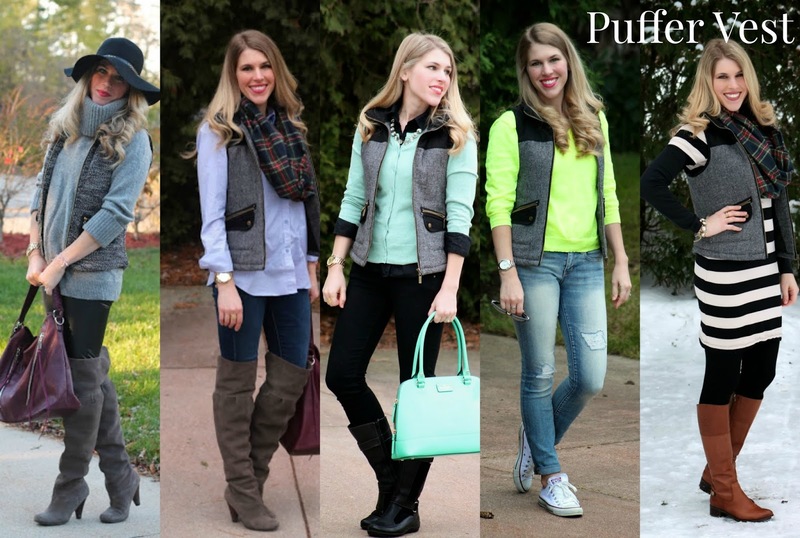 All of these are so good for fall...really love that vest! Plaid is my favorite too and while I have always loved booties, wow are they ever hot this year and I may have gotten waaaay too many pairs, but you can never have tooo many right? You look adorable in all of these!! Love all these must-haves! I will always want to go to my leather jacket and booties at this time of year. Thanks for the link up! These are all perfect fall essentials, I need to wear my moto jacket more that I got last year. I also need to replace a cardi I lost in Italy. :( I wear my riding boots A LOT!! Your fall must haves are spot on! Each piece gives that fall vibe, and is versatile to boot. Every year I tell myself I'm going to add an olive jacket to my wardrobe, and this year I've really been eyeing up scarves that look like yours. Hmm...maybe this will be the year :). Great fall pieces! I have and love all of them! I can't wait to wear my blanket scarves again (and want to add another one; I'm "slightly" obsessed with scarves). 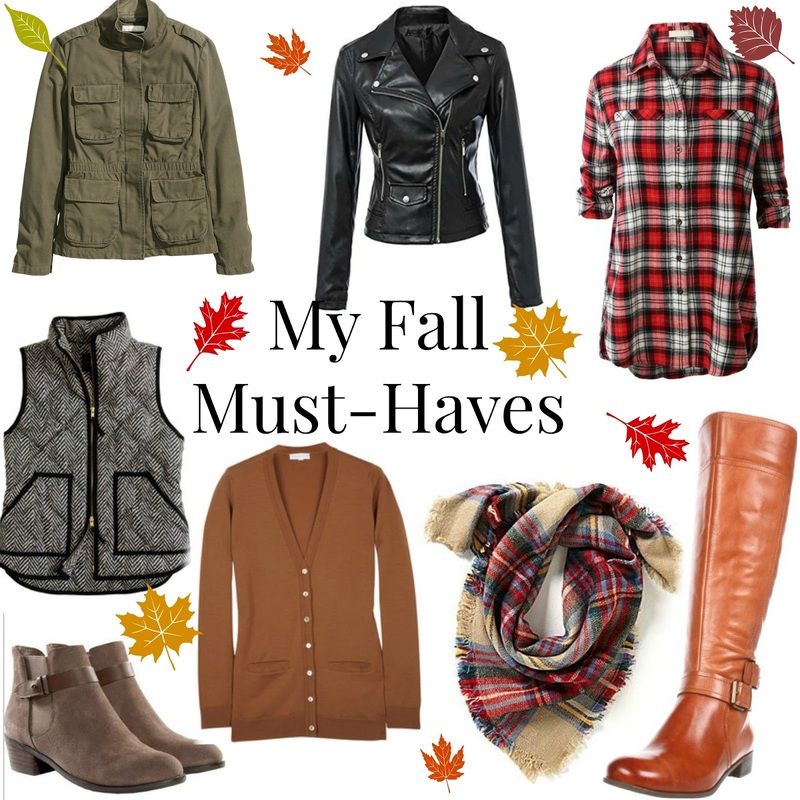 These are all such great fall must haves. I live in my field jacket and plaid scarves. Love your fall must haves and it is fun to see multiple styling options for each. Definitely a great list Laura!! I definitely believe that any piece that you can get versatility out of is a great buy!! I love my jackets in particular and scarves never go out of style!! 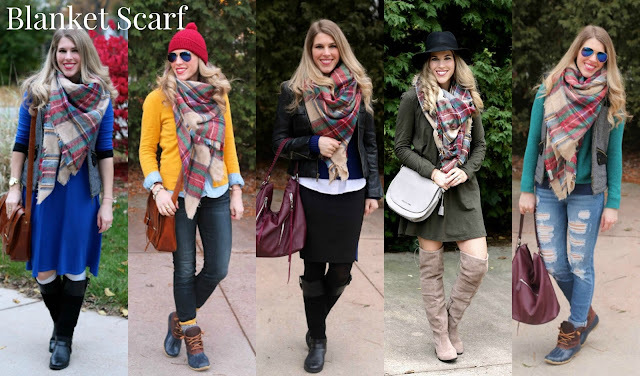 All perfect fall essentials, I can't live without booties and scarves at this time of year! 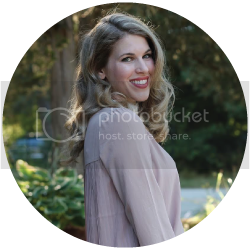 I am so inspired by all your Fall styles Laura!!! Yes yes yes to all these essentials! Love this great round-up of outfits and how you show the true versatility of each piece you selected! 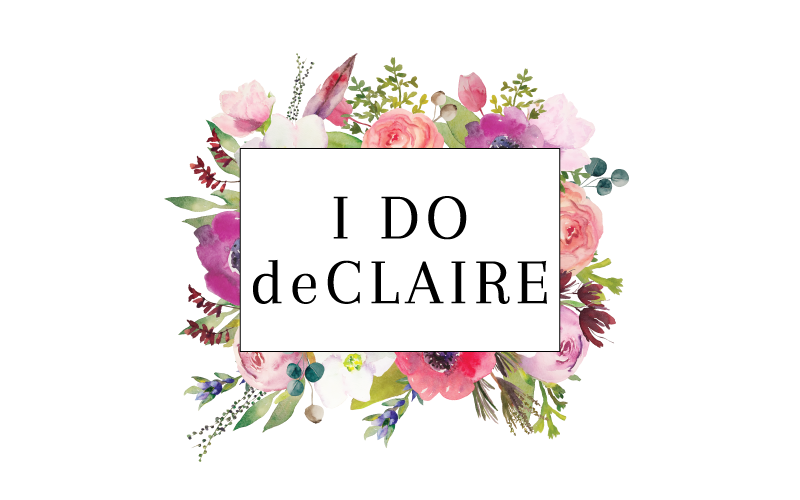 Great post and great must have pieces for fall! I enjoyed seeing the different ways you have styled each piece. Excellent collection of looks Laura! So many amazing fall looks. I will have to try my flannel under a sweater as you suggested on my blog. I tried it with a skirt, but it didn't work because it's so big theres too much material to tuck in. I love wearing boyfriend cardigans, they are my favorite sweater. I love all these favorites of yours, especially the moto jacket ones. You are too cute and thank you for your sweet comment today. 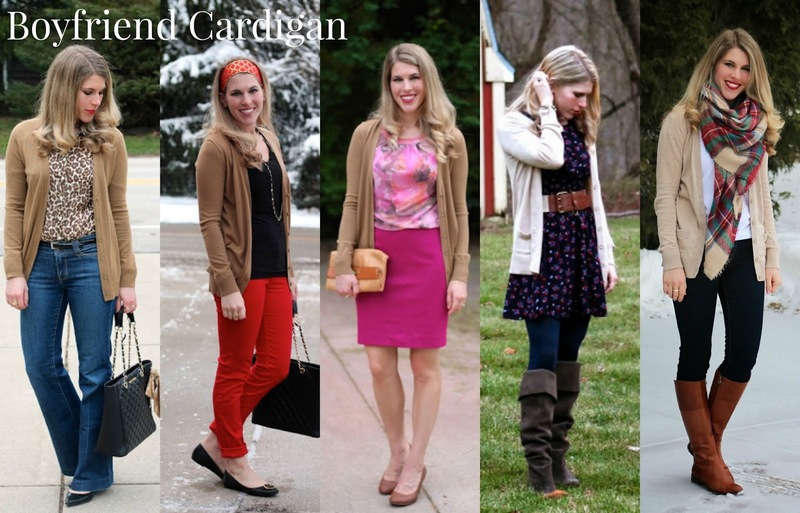 Love seeing how you wear all these fall staples! Such a great list of fall must haves! Moto jackets, boyfriend sweaters, and blanket scarves always top my fall list. Laura, I love the moto jacket ( i am collecting them ;-) as I wear them more in the fall/winter) plaid, and of course I love the boots and booties you are sharing. I love your list of must haves! I wish I could wear some of these now, but because I live near San Diego, I'll have to wait until winter! And even then it doesn't get that chilly during the day. However, booties, a cargo jacket, and a plaid blouse are definitely musts for me too! All your must haves are definitely must haves! :) I really like how you posted all the different looks you've worn with each item! This makes me want to pull out all my fall clothes! I bought a moto jacket this summer on clearance, so now I have some ideas on how to wear it! Couldn't agree more with your Autumn staples. Perennial favourites. Versatile, fun and functional. I think I'm not allowed to buy any more plaid shirts though! I love all your fall must have selections!! Those blanket scarfs are so versatile! A lot of these are my fall must have as well. Ooh I'm getting so much inspiration from all your fall looks! I totally agree about your fall essentials, and I'm looking forward to wearing so many of these myself (and have already on a lot of them)! I basically need to print this out, because this has all of my fall faves on it! Great list! So many great fall looks! I'm on the hunt for a bomber jacket. All amazing Fall staples! I love how you styled all of them so many different ways. Great picks, Laura! I love the plaid scarf and the vest! You are a woman of soooo many great looks. I love every single outfit, every pic, every accessory. Truly. And I have all of the pieces except the herringbone vest to recreate some of your lovely style. I love your choices - and how you did a collage for each option to show how truly essential they are. Great post!